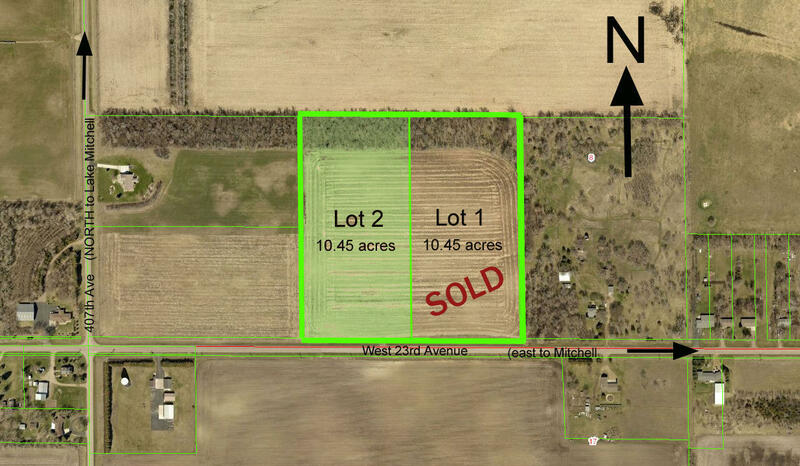 Lot 2, in Koanko Addition with 10.45 acres located just outside of Mitchell's city limits on West 23rd Avenue. Includes northern shelter belt of established trees. Good potential for subdivided lots or own all for your privacy. Lot 1 also 10.45 acres, adjacent to this is for sale as well, same size, same price.